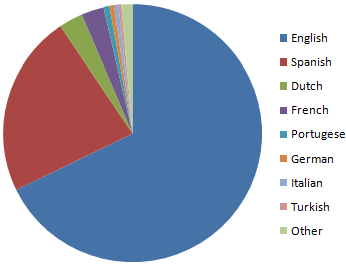 The chart to the right shows the percentage of Pixelated users with each language set as the default. It is safe to assume that the fact that this data comes from an English-only application will result in some bias in these values. 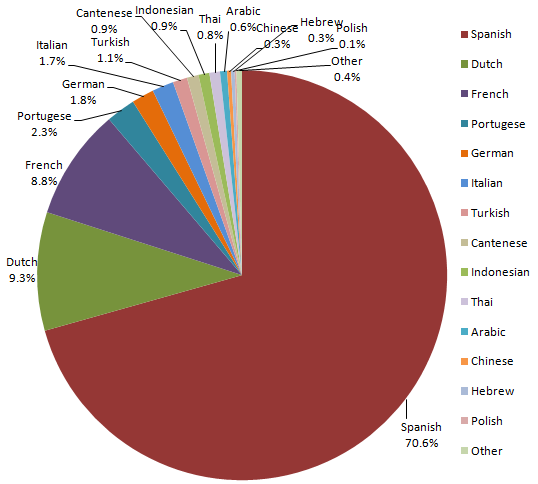 The chart below shows the percent of downloads for every language besides English.